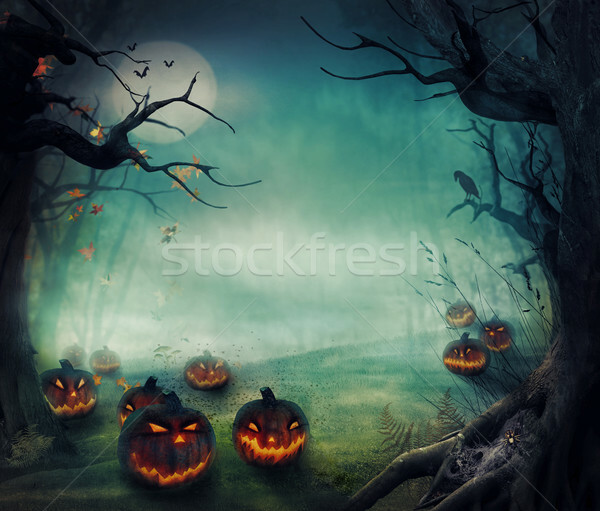 Foto stock: Halloween · projeto · floresta · abóboras · horror · outono / Halloween design - Forest pumpkins. 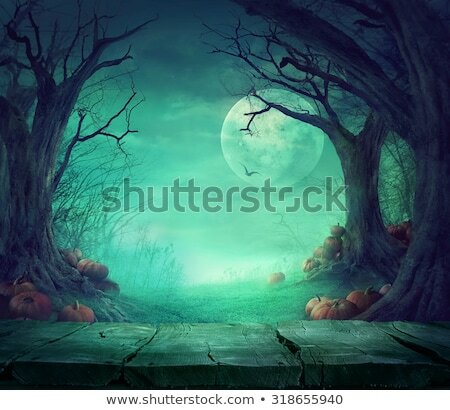 Horror background with autumn valley with woods, spooky tree, pumpkins and spider web. Space for your Halloween holiday text.